Last week, I announced that Boston Pizza had just introduced a new gluten-free menu for all locations. Just a week later, I found out that this menu was no longer available. Shocked, I quickly got in touch with the nice people at Boston Pizza to find out why. Surely the menu was popular with gluten-free customers who appreciate more options. I needed to know why this happened. Thank you for your inquiry regarding our gluten free menu offerings. Recently an inspector from the Canadian Food Inspection Agency (CFIA) visited one of our locations in Ontario and deemed that items on the recently launched Gluten Free menu did not sufficiently meet their standards for classifying an item as ‘gluten free’. While we are confident that all of the items on this menu, including our wings, are gluten free, and that we have taken the appropriate measures to develop and provide rigorous handling and training procedures to our stores, we have decided to pull this menu. As you know, we have been offering Guests a gluten free pizza option for close to two years with great success and with little, if any, reports of cross-contamination. We believe we have industry leading procedures in place for the handling and preparation of this menu item, and as such, we will continue to offer it to our Guests at this time. Despite our best efforts and sound handling procedures, due to the nature of our business, we cannot guarantee the absence of specific allergens in our menu items. At this time, we are working with the CFIA as well as Canadian Restaurant and Foodservice Association (CRFA) to review our approach to providing guests with a range of gluten free options at our restaurants in the future. We know that Guests are looking for these options and we are committed to providing our guests with gluten friendly choices that adhere to industry best practices. I also spoke with Perry on the phone earlier today to further discuss this issue. He informed me that it is because the kitchen is not a gluten-free environment, the CFIA will not allow them to claim they have a gluten-free menu. This is because of the chance of cross-contamination, no matter the extent of the precautionary measures taken to prevent gluten exposure. This could potentially happen to any restaurant that offers a gluten-free menu. That would put the entire Gluten-Free Ontario website and research into jeopardy! Imagine not having ANY gluten-free options out there? I'd rather not have that as my reality... I have worked hard to bring you guys the list of restaurants offering gluten-free options. I know for myself, the only guarantee of a gluten-free meal is one made in my own gluten-free kitchen. Any time I dine in a restaurant, there is always a risk of cross-contamination. I don't need to CFIA taking away the few options that I have left. If restaurants are forced to remove their gluten-free menus, those with Celiac Disease and gluten intolerance will be forced to take more chances by ordering blindly from menus and hoping the server and cook knows what gluten-free means. I believe restaurants should be allowed to offer a gluten-free menu as long as there is a disclaimer that there is gluten in the same kitchen. A similar situation happened with The Keg. They had a Gluten-Free Menu and had to pull it because they were told they can not claim "Gluten Free" if they have items which contain gluten in the restaurant. What? We enjoy Casey's primarily due to gluten free menu. The manager / owner of the east Ottawa location has Celiac himself. 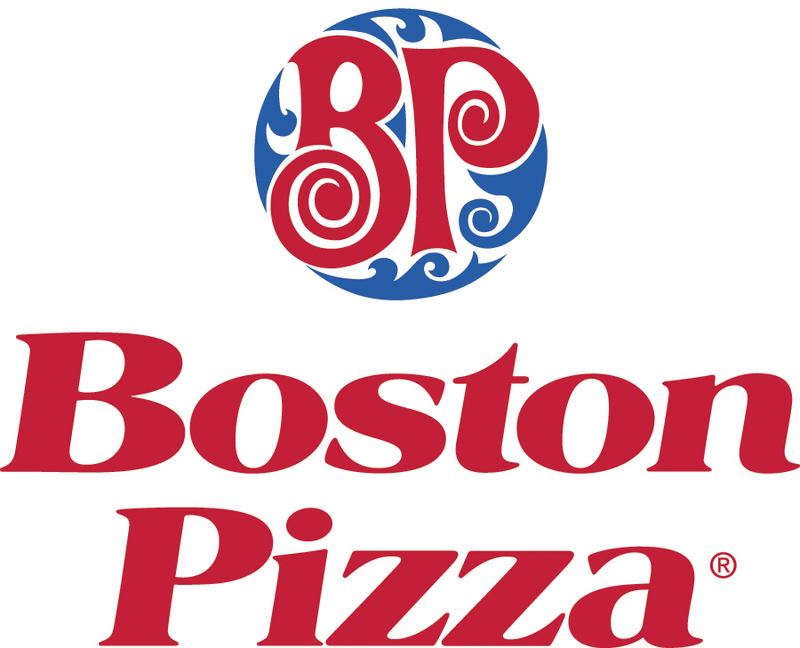 I've always chosen from their gluten menu without issue, but I know for a fact that they don't have a whole separate kitchen ... And, I'd only recently discovered the Boston Pizza g-free pizza and found it to be MUCH superior to the Pizza Pizza one. That rational just doesn't make sense. I'm disappointed. Totally agree with you. I understand any time that I go out to eat, I am taking a slight chance. But sometimes there's really no way around it. I applaud restaurants that are doing a great job of researching and learning. That makes me SOOOOO angry!! As people with allergies, we know that there are no guarantees! We should be allowed to make our own choices. This is a total case of one step forward, 5 steps back.I think it's great that the CFIA has gluten free safety on the brain, but it is taking away from the success of gluten free menus. It took a very long time to start seeing these options pop up for us and I feel that they will decrease now. I think that if the CFIA is serious about our safety, they should offer a training course for restaurants that wish to have a GF menu. Although there would still be a risk for cc, I would trust a restaurant that has made the effort for staff to be fully trained about CC and made aware of why this is so important. Every restaurant I have been too with a specific GF menu always has the disclaimer. It makes sense especially since their suppliers can change things up without telling them in advance. Could they not call it 'Gluten Friendly' and allow the consumer to make the decision? Exactly! Having a "Gluten-Free" claim, and then a disclaimer that it may not be gluten free is terribly misleading! A different claim that doesn't imply that the product is completely free of gluten would solve the problem. i am a restaurant manager for Montana's. We used to offer a gluten free menu but about 2 years ago the company pulled it for the same reasons. we do offer a nutritional value menu which states which menu items are gluten free. we have very rigorous allergy procedures, especially at my specific location where my entire staff is very educated on celiac disease and gluten sensitivity since i have it. which Montana's location are you at? I agree 100% with you Jax! I have gluten in my kitchen for my family, so I take a chance every single day with the cross contamination! It should be up to us to make the choice if we want to take a chance in a restaurant, not the powers that be! As sad as this is CFIA is only looking after our health. When something in the store says "gluten-free" it has passes rigid testing and they seem to have the same guidlines for restaurants. I think if they found a way to say that it was not made with gluten-containing ingredients and may have come into contact with wheat etc. it would be a good compromise. Maybe Gluten-Friendly? I agree with you wholeheartedly. I will post this on our Facebook and Twitter pages to spread the word. Thanks for sharing! Wow I am astounded! I can't believe it was just because of not having a dedicated kitchen. As you say that would mean every other restaurant serving us a gluten free meal would be gone! Very serious stuff. It is impossible to take every meal with us when traveling. I know I prefer ordering from a gluten free menu when the opportunity arises and it also makes me choose that restaurant over others where I am left to guess. Unless the restaurant is completely GF we all know there is a possibility of cross contamination - that is a risk we decide to take. It should be our choice to make not someone elses. I agree with what the CFIA did. There are so many restaurants out there labelling things as gluten free that aren't even close. What we need are proper standards and certification like they have in the US. I'm sorry... but I don't think the US does anything different when it comes to labeling food in restaurants as gluten-free. I think a restaurant should be able to compile a list of menu items that are naturally gluten-free... like salads (minus the croutons), steak and potato, chicken, etc. I don't think a restaurant would get away mislabeling menu items for very long... people would get sick, complain and not return, plus likely tell other Celiacs not to go there. I think if they had specific government regulated training and testing of employees on this training on cross-contamination, either specifically for gluten-free or allergens, it would make a difference. I know this won't be popular on here, but I agree with Anonymous-Mar 8. There are so many companies labeling their products as gluten free when they don't have a clue what it means! This label and cross contamination issue is important because they are not just dealing with the intolerant community, but with celiacs where this cross contamination could be detrimental to their health. There is always a chance of CC when dining out, but trying to limit that to the best of their abilities is in all of our best interests! I do hope they find some sort of resolution to this, and we aren't left with losing our favorite places to dine. I do think it's possible, it will just take time! If we all wrote the CFIA or MP and indicated our interest in this and possible resolutions, it might help :) In parts of europe Gluten Free food is found at pharmacies only, and supplimented by government as a medical cost. Pizzarias can only claim a pizza GF if it is made prior to everything else in a pre-cleaned environment. and then packaged before the non -gf pizzas are made. We need clarity and instruction in our regulation first so this will not happen! and http://theceliacscene.blogspot.com, with your permission, Jax. Thanks again for your hard work and advocacy. I also agree with Elisa and Anonymous-Mar 8th. There a quite a few restaurants out there who are jumping on the GF craze, who claim to have gluten free options that barely know what the main sources of gluten are - let alone proper preparation guidelines. I used to work for a fairly exclusive golf course in Mississauga that claimed to do "gluten-free" to it's members and staff. What I saw there was a COMPLETE joke. Basically, the kitchen staff, including executive chef would make sure the ingredients used where GF, yet nothing was in place to ensure no cross-contamination would occur. I even had one kitchen staff member tell me privately that if I really shouldn't be eating there. To be honest, I don't think it's unreasonable for restaurant's to have dedicated preparation areas for those with allergies. Maggiano's restaurant in the states does exactly that and is one of the few restaurant's I really believe offers gluten-free options with above 99.9% efficiency if not higher. I would much rather see the CFIA come down harder on these restaurant than for them to slack off. There may be restaurant's who will simply fold their cards when it comes to catering to us as a result, however I also believe that there will be restaurants that will roll up their sleeves and start following the CCA's guidelines for restaurant wishing to cater to us and quite possibly adding a gluten-free section to their kitchen (like maggianos). It is definitely a touchy subject, but the reality is, we don't get to see what's going on behind the seems, and if the CFIA deems it to be unsafe, I'm sure as heck glad they are letting us know. Lastly, not all celiacs (including myself) get noticeable reactions from eating gluten, especially with trace amounts. So the argument that, "people will get sick, and stop going" sadly, may not work. Think of all the Celiacs who think Pizza Pizza, Pizza Nova's and other pizza franchises' gluten-free pizzas are safe. From what I've seen and from the question's I've asked, I would argue that NONE of the pizza's made by these places are free from contamination. Yet, are Celiac's still buying it... YEP! Probably cause their reactions aren't noticeable... is damage still being done to their guts... most likely. As a former cook in a number of restaurants - from McD's to BP to "mom & pop's" to cafeterias - I can tell you that the chains were most conscientious of cross contamination and customer allergies. Could there be a risk for cross-contamination? I guess so. If someone is careless about what they are doing, but like I said, the cooks do their best to (a) avoid cross-contamination and (b) keep their guests and clients safe and healthy. I have to agree with Martin. My husband and I went for pizza at another well known restaurant in the maritimes that claimed to have a new GF menu. When I questioned the manager of cross-contamination, GF ingredients, etc...she really was not able to answer any of my inquires. The pizza shell was deemed GF however there was no GF prep area...GF pizzas were prepared side-by-side to then non-GF pizzas. So, I also think that some restaurants are running with the GF craze not really understanding the conecept! So, I am glad that we (celiacs) do have a gov't agency looking out for us. I actually contacted the head office of this restaurant to inquire re training and general knowledge regarding GF and Celiac disease...unfortunately the knowledge was not there. Is there something that we Celiacs can do to let CFIA know we're not happy about this? 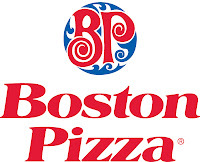 How can they pull the Boston Pizza menu, and not all the fast pizza places? They're most certainly NOT gluten free kitchens! Nor is Jack Astors, or probably 99% of the restaurants that offer a gluten free menu. My wife and I ate at BP's last week here in Edmonton and had the gluten free pizza. We have never seen a gluten free menu before, just know that there is a gluten free crust offered. I wonder if they will still be serving the crust? I also suggest contacting the CFIA to clarify or state the need to work with restaurants on proper wording. I do understand their stance, as the new food labeling laws will be more strict and will have to say if the food is produced in a facility with gluten. But maybe alternative wording (as suggested above by other readers) is what is needed. I for one applaud the CFIA for their decision. From the very beginning I have said there was no way for BP to guarantee their GF menu stayed GF. Hats off to them for trying but cross contamination is way to easy. Even if the crust is GF, what about the toppings? Are the same topping used to make the GF pizza as the non-GF pizza or are they kept seperate? A completely seperate GF prep kitchen and ovens would be the only way to avoid cross contamination. That gets to be very expensive. I absolutely support the CFIA. They are keeping all of us with CD safe. Thank you. Having worked at BP in the past, I can say that we used tongs or spoons to "collect" toppings and foods from the "food prep bins". I worked there pre gf menu, so I can't speak specifically on gf methods, however I can say that shellfish, seafood, nuts and seeds were kept well away from other foods to avoid cross contamination. I can only imagine that there are protocols that are put in place to make gluten cross contamination at least improbable if not impossible. While BP did offer a gf menu, I'm also aware that it is not a gf kitchen. Neither is my sister-in-law's kitchen - and with appropriate precautions I can eat there. The important issue that needs to be addressed is not only our health as people with Celiac and Non-Celiac Gluten Sensitivity, but also the isolation we face. It would be nice to know that we can go to a restaurant as a family again. I know that for myself, and for my family, we don't like to have "separate meals". I don't want to deprive my children from the learning opportunity and the fun of restaurant eating, but who really has fun when two of the six of us can only sit and watch others eat? Not only is it isolating for my daughter and I, who are currently on the road of diagnosis - so yes we are currently eating glutenous foods again (need I say OW?) - but also for the rest of my family. My community is currently too small for the "luxury" of a gf restaurant. As far as I know, there isn't a single one in my entire province! So our best options for restaurant eating is that restaurants clearly identify which menu items are gf. Maybe the CFIA is doing the right thing, but something does need to be done so that we can have options. Pizza is no longer a treat that’s forbidden to people who adhere to a gluten-free diet. The options for people with Celiac Disease, or people otherwise avoiding gluten, are vast, and they’re tasty! As noted in the response above - "We believe we have industry leading procedures in place for the handling and preparation of this menu item, and as such, we will continue to offer it to our Guests at this time. " You may want to call ahead to make sure that GF pizza is still available. This is not the case all locations. Last evening I was told that our two local Boston Pizza locations no longer have GF pizzas available. Gluten free menus are great for those in need. I say leave the restaurants alone if they have chosen to offer gluten free menus as long as there is a disclaimer that states the possibility of cross contamination. At least then there are choices and the customer can decide what they can/can't eat. Without the gf menu it is almost impossible. I believe that this situation is a classic case of an organization putting "bureaucratic rules" about "mission & purpose". The CFIA should be focusing on how to make restaurants accessible to people with dietary and allergy restrictions. Its common place for many restaurants to include a warning regarding peanut cross-contamination. For anyone with a peanut allergy it would be up to them to ask questions about the food preparation and determine how comfortable that they are with ordering off the menu. Some in this thread are encouraging the CFIA to come down even harder an insist that restaurants have separate food preparation areas for gluten free options. That is simply not realistic. It introduces the need for a separate area, separate equipment, separate food storage facilities, etc. The math just won't work out for most restaurants. And it would open up a can of worms: Peanut Free Food Prep Area, Vegetarian Food Prep Area, etc. I would encourage the CFIA to focus on working with restaurants to put in place procedures and processes and minimize chances of cross-contamination. And then implement and inspection program that focuses on assuring adherence to these policies. If anyone from the CFIA is listening to this thread I would strongly encourage you to apply common sense instead of doing the easy (lazy?) thing and simply pointing to a rule book. I was just on the BP site for my BP in Ottawa. And they have listed their GF pizza as "Gluten-wise" with a disclaimer that it is made in a kitchen that is not gluten free. I have to say that I full heartedly agree with the pulling of the glueten free menu staus by the CFIA. It's not like you can't get the items on the menu that do not contain glueten but that are not officially glueten free. That sounds horrible, and I completely understand in her case. Wow. Yes, I certainly hope that the restaurants that we love and are actually ABLE to go to will not have to pull their GF menus. We all understand that the kitchens are not entirely GF, and that we are taking a chance, but it is REALLY nice to have the option to be able to go out and eat with friends and family. If you are ordering GF items at a restaurant that serves gluten as well, then obviously you know there is a chance of contamination. I have not been diagnosed with celiac, but my intestines react to gluten so I've been GF for about a year now. But like others have said, it is so nice to be able to go out and know that you can order something. I mean sure, I know cross contamination is a worry for celiacs, but a) they aren't the only people who want GF and b) at least with a GF menu you know that the sauces etc are safe. I am tired of having to cook my own food all the time or buy expensive frozen dinners - it is so nice to eat out now and again!! Argh!! Oh, I am soo not happy about this. I am off dairy and wheat. My Mom told me recently that BP had gluten free crust and goat cheese for thier pizzas and I go happy. Now this, guess i have to stick to Pizza Pizza. What about Kelceys?? they are still Gluten Free right?? what about Rickys?? Boo to the CFIA who would like there to be no options available for celiacs. Are there any dedicated GF restaurants available out there other than the GTA? Good for BP though. I was just on their website and they do in fact still have their GF pizza - but they have renamed it as "gluten-wise". Yah! Pizza pizza will have a worse environment for Celiacs! The gluten-based crust particles are flying everywhere all over the pizza. It's made by teenagers who are barely trained (and probably don't care). If you can eat the pizza at Pizza Pizza, the one at BP should be just fine. BP has a much larger kitchen and stricter rules so they can physically separate the gluten and gluten-free pizzas easier. There is always a risk but a smaller risk than at Pizza Pizza. By the way, the glutenwise pasta is apparently on its way into restaurants now. My waitress said the shipment should be in soon. (I live in BC though, not Ontario.) By renaming it glutenwise (yup all one word), they can define the word themselves and avoid the CFIA's regulations. It's sneaky isn't it? Celiacs must assess risk levels when dining out and in my opinion the risk at Boston Pizza is too great because they make regular dough daily in their kitchen and cross contamiantion from flour dust is quite likely. I wish the CFIA would test their glutenwise pizzas for gluten content and let us know the results. Otherwise eating there is like playing Russian Roulette. WHY DOESN'T ANYONE SEND YOUR COMPLAINTS DIRECTLY TO THE CFIA? IF YOU'RE SERIOUS ABOUT WANTING THAT OPTION AND YOU BAND TOGETHER AND SHOW A UNITED FORCE, THEN CFIA WOULD TAKE A DIFFERENT APPROACH...LIKE PERHAPS THEY CAN LET PLACES OPERATE WITH A DISCLAIMER.